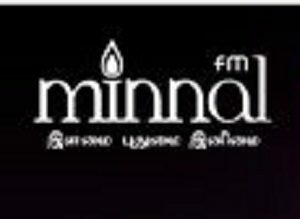 RTM Minnal FM Tamil Radio Live Online . It serves as a source of information and entertainment not only to Indian Malaysians but to people of Indian origin worldwide as well as Tamil enthusiasts. Vision of this radio is to become the benchmark tamil radio station of the world. Address : 4th Floor,Wisma Radio , 50614 Angkasapuri , Kuala Lumpur, Malaysia.